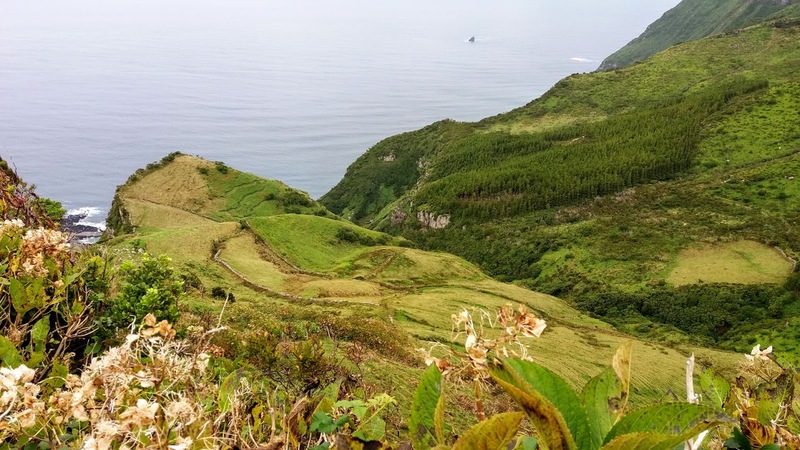 Walk Hike Portugal is pleased to introduce and invite you to visit with us the islands of Flores and Corvo, which alone make up the Western Group of the Azores Archipelago. Starting with the first one, because it is in this one that we will spend 6 of the 7 days that make part of this program, the island of Flores, although it is a small island with only 17km long and 12km wide, with 911m of height, is surely one of the most beautiful places in the world for walking. Three factors contribute to this: the dramatic topography, with impressive cliffs and hills with several hundred meters high, the variety of plants and their profusion, which extend to the ocean and the incredible amount of water we find in the whole island, giving rise to a countless streams, many of which launch into monumental waterfalls, as well as 7 lagoons. Being one of them, the Funda (Deep), deserves the name, because with its 120m deep is the deepest of the all-archipelago. All this with the mighty Atlantic around them. But it is not only for the dramatic landscapes that this island is worth visiting, but its great isolation has also shaped its people and culture, which are well present in our hikes. In the background, about 18km away, there is Corvo Island, the smallest of the archipelago and also worthy of our visit. With just 6km by 4km and with a considerable height of 720m, Corvo is one of the most isolated places in the entire European continent and this reason already justifies a visit. Its cliffs and views are breathtaking, its small and unique village, where live a little more than 400 inhabitants, has a unique framework, but it is its enormous and disproportionate Caldera, with more than 2km in diameter and with its 321m of depth, That makes this island a “must”, where the beauty of its walls with the Atlantic behind, has no equal. Welcome to Flores and Corvo. On this first day of arrival, our hikers will get to know some of the Flores Island on the way to Aldeia da Cuada, the place where we will make our base, which is in the western zone of the island, the opposite side where the airport is. 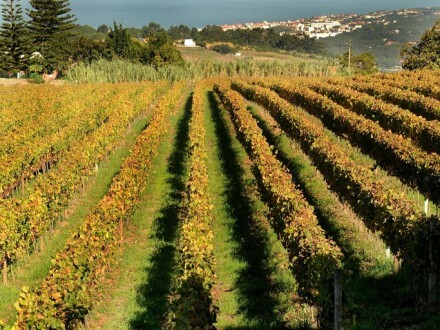 The dinner will be in Aldeia da Cuada where we will taste some local delicacies. Before dinner, if there will be time, our hikers can still take a bath in the magnificent natural pools, very close to where we will stay. They can also explore the Aldeia da Cuada and delight with the many details that are part of this rustic and beautiful village. Before dinner, we will have a short briefing where not only we will make a presentation of the island, where we will walk as well as giving some advice and answer all the questions that our hikers may have. Beginning of the Activities: Depending on the flight’s arrival timing. This our first tour takes us to know 4 villages in the Western part of the Flores Island. Between extensive open valleys over the sea and beautiful vegetation corridors, always in the company of the ubiquitous cows, we will know some of the history of these settlements originating in the 19th century, at the same time that we will have the opportunity to appreciate the great basaltic stone walls that surround us. Before we descend to the last village we will visit on this day, we will make a small detour on our way to marvel at a breathtaking view, where the vast ocean and a valley of great beauty surrounded by walls of dense vegetation with hundreds of meters of height and countless waterfalls, combine in a landscape of overwhelming beauty. Arriving at the last village we will visit its beautiful church and we will also visit a local small cheese factory and a water mill. Our picnic lunch will be in a scenery worthy of Eden, where our hikers will be delighted not only with the repast but also with the stunning scenery that surrounds them. After this moment of rest, we will be close to our goal, in Aldeia da Cuada. Those who prefer, can spend the rest of the afternoon in beautiful oceanic pools or, as an alternative, can stay in our village. Dinner will be in a family restaurant, where the traditional centennial cuisine from Trás-os Montes, in the northeast of mainland Portugal, with the typical Azorean products, get together. All this accompanied by a good Portuguese wine. This second day of hiking starts in a very small village, Ponta da Fajã, near Aldeia da Cuada. 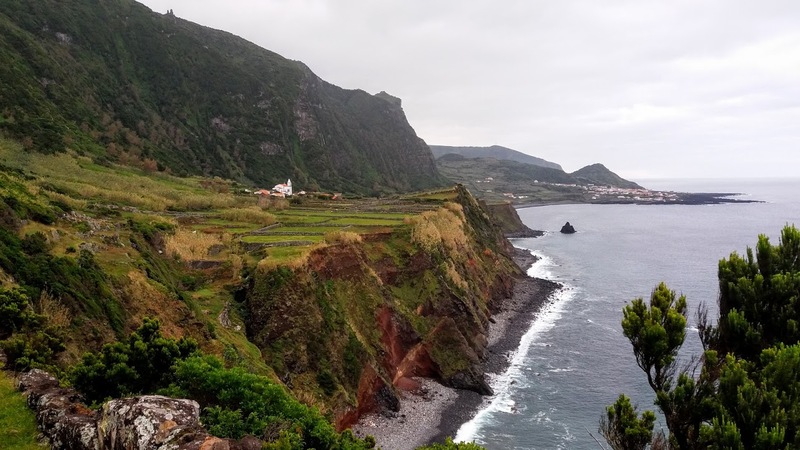 After a spectacular trail on the cliff near the sea where we have on our backs the view of the Fajã Grande village, we begin a long and beautiful ascent, almost always in a corridor inside a dense vegetation. In some zones, we can enjoy the views not only of the ocean but also of the dramatic coastline. Already at the top of the cliff is in a more flat terrain, where we will cross several streams. Here the views will be wider and from a certain point, we will start to see in the background, the island of Corvo, the smallest of the whole archipelago, which we will visit the next day. After a few small valleys, dominated by the Cedars, Sanguinhos and many Hortenses which give a great color to the whole route, as well as, once again, many creeks with beautiful waterfalls, we will arrive at the last part of our path. This is an area where the meadows surrounded by the traditional stone walls of this region, dominate. 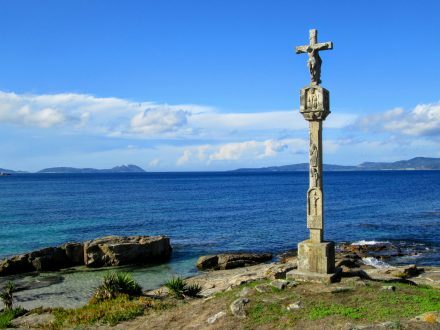 It is also here where the views are more spectacular beyond the formidable coastline where the waterfalls towards to the sea abound, we can see the great islet of Maria Vaz as well as the Promontory of Albarnaz and it’s great lighthouse that radiates light and guides the sailors for more than 80 years. We are nearing at the end of our hike, but our walk still does not end here. This is one of the zones where the coastline is most exposed to the strength of the Atlantic and as such, it is also here that we can appreciate the strength of the waves that shape to more than 2 million years these basaltic rocks, born in the bowels of the Earth. Even before we return to Aldeia da Cuada where some may rest and others enjoy the oceanic pools, we will pass by another spectacular viewpoint and a river known for the strength of its waters. The dinner before the day when we will visit the Crow Island and its spectacular Caldera will be at Aldeia da Cuada. 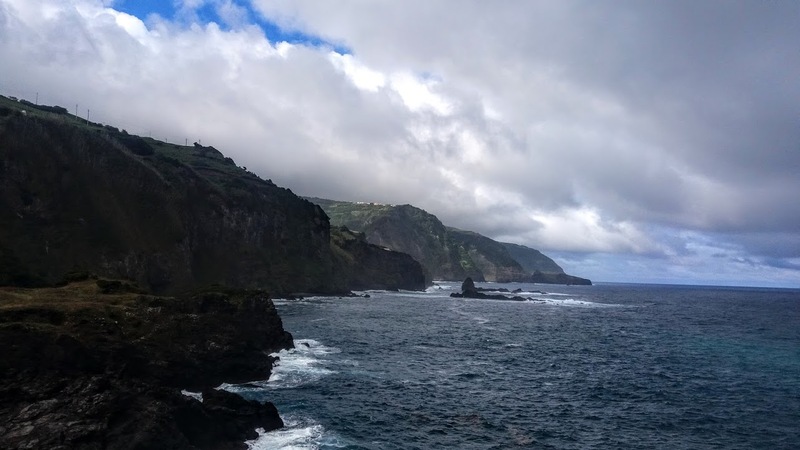 On this 4th day, we will visit the Crow Island, the smallest island in the entire Archipelago, but it is there that is, perhaps, the most beautiful volcanic caldera in the Azores and one of the most beautiful in the world. The day will begin, even before the connecting trip between the two islands, with a boat trip along the coastline of Flores Island. The waters of wide waves, the dark blue color that the Atlantic has in these latitudes, the various cascades and cliffs covered with vegetation to the sea, make us feel, more than ever, that we are in the middle of the film set of the “Jurassic Park”. After this magnificent tour, we will continue to Crow Island. On this trip lasting about 1 hour, in addition to several seabirds, we may be lucky to see groups of dolphins, flying fish or even Minke whales. The approach to the island is superb, and after docking, we will visit the Interpretation Center in the tiny village of Corvo, the only settlement in the whole island, where we will understand a little better not only the topography of the island but other curiosities. Then we will continue in a van towards the great volcanic Caldera where we will begin our hike. A stunning landscape is expecting us and it will be inside the Caldera where we will make our picnic lunch. Back on the dock, the semi-rigid boat on which we will make the return trip will be waiting for us, where in addition to what we have already mentioned, we will have a new perspective of the island of Flores about 18km away. Taking advantage of the fact that we dock in the village of Santa Cruz das Flores, the main village on the island of Flores, it will be there we will dine, in a local family restaurant with a simple decoration, but with tasting homemade food. This long day will end, like all the others, in the Aldeia da Cuada for a well-deserved rest. Note: This tour is always dependent of the weather and sea conditions, therefore the date can be changed. This day 5 begins in the central plateau of the island, to about 750m of height. This is perhaps the most diversified track of all that we have done and will do, as we will go through several endemic ecosystems, all very different. 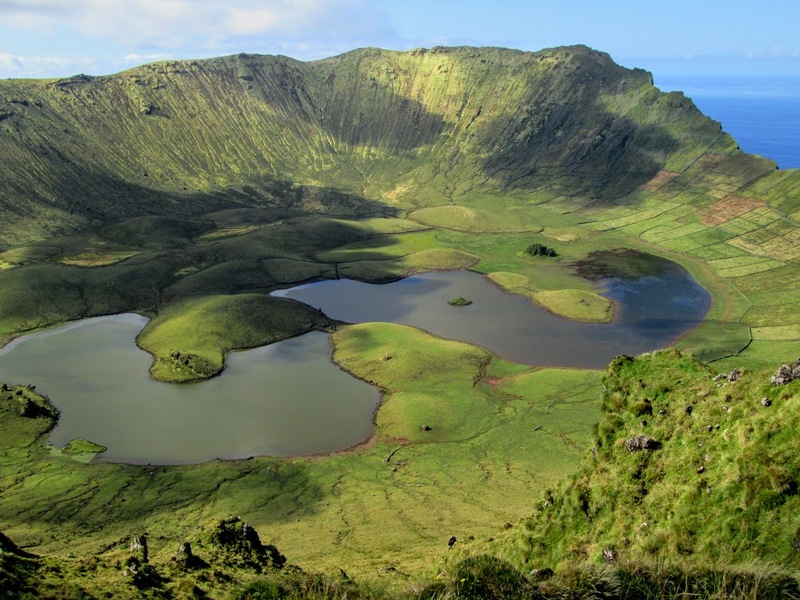 Our hike starts at Lagoa Funda (Deep Lagoon), which deserves the name because with its 130m is the deepest of all the archipelago. The next ones are the Lagoa Comprida (Long Lagoon) and Seca (Dry Lagoon). This is a very humid area, where the fog is frequent and where mosses, Azorean Cedars and Briars feel at home. Depending on the time of the year, we can delight ourselves with large and tasty blackberries. In the background, if the fog allows, we will see the Morro Alto, the highest point of the island with 911m. We follow into the last of the lagoons, the Branca (White). This is the most humid area of the whole path, where we will face numerous watercourses. 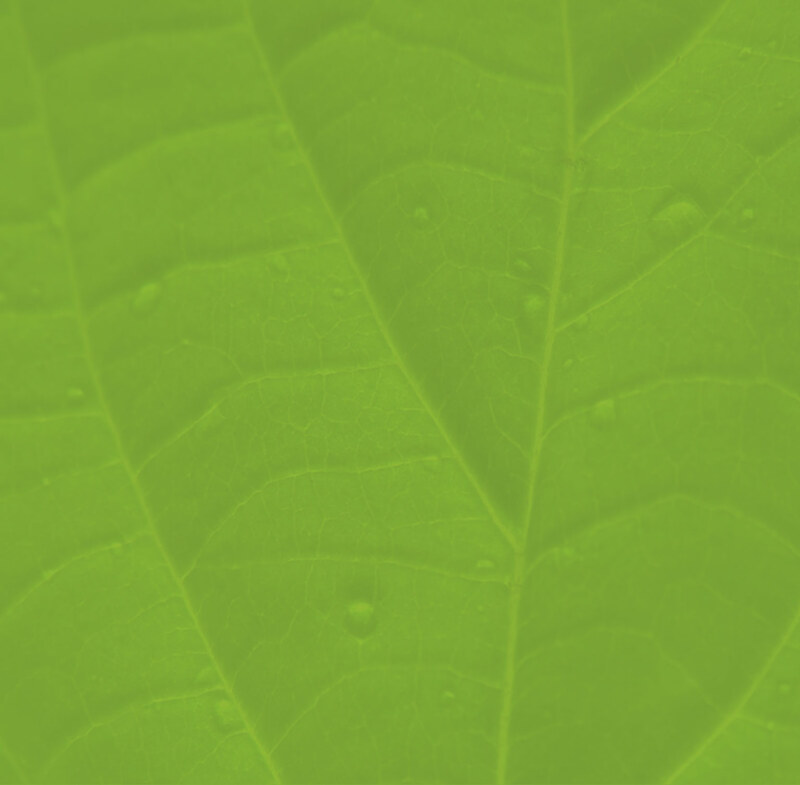 It is also here that Turfs predominate, a kind of yellowish mosses which are authentic reservoirs of water, given their density, very important for the sustainability of the entire ecosystem of the island. The Branca lagoon is an important zone of migratory birds and for that reason, it was there that was installed the first structure for bird watching of the whole archipelago, which we will visit. After we start going up the Morro Alto and we will come across a wider perspective of this whole plateau. 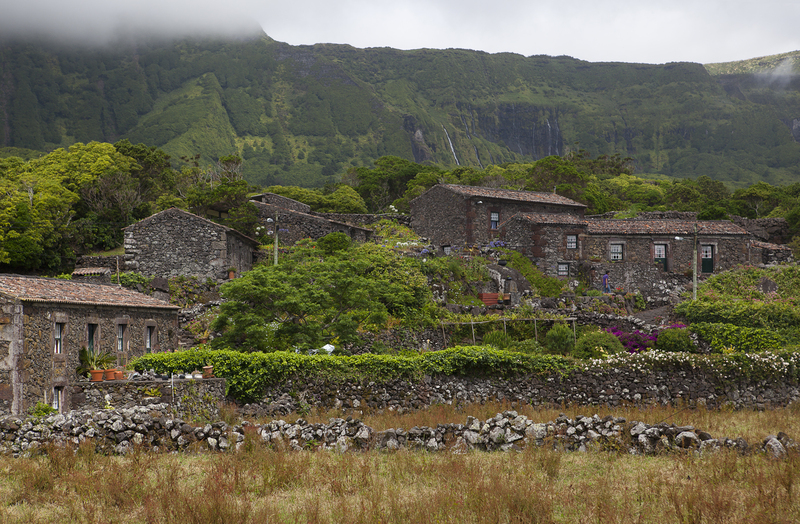 The various deep valleys covered with forests of Cryptomeria on our right and the villages of Fajã Grande and Fajãzinha, far below, surrounded by huge cliffs with numerous waterfalls, on our left and with the ocean ahead, are stunning views and the fair prize for the effort of arriving here. From here it is always descending, deep, first on an open ground and then through the middle of beautiful corridors of Incense, one of the invading species that cover vast areas of the island. Already at the sea level are several ruins of old water mills, some of the 19th century and in front of us, we find the waterfall of Poço do Bacalhau (Codfish Well). With about 90m high, its crystalline waters land in a small pond where our hikers can take a bath before or after the picnic we will eat here. The rest of the afternoon will be spent in the oceanic pool of Fajã Grande, 10 minutes walking from Poço do Bacalhau, where we had the picnic. Dinner will be at Aldeia da Cuada. The last day of hiking on the island of Flores will begin on a huge promontory on the northeast coast of the island, where the village of Ponta Ruiva (Redhead Tip) is located. The views are spectacular, and we will start the hike along a trail on the slope, but quickly dive into a forest of Cryptomerias where we will cross several small bridges over small streams and some waterfalls. 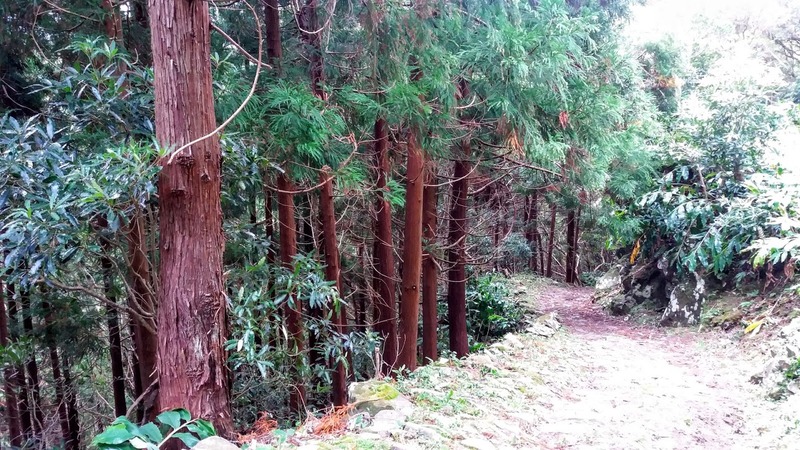 After some descents and ascents of great beauty, we will begin to descend towards the sea in an old path used by the local populations, all inside a forest corridor. Much of this path is accompanied by large stone walls and in some parts, on the ground, we also have steps in basalt that are still used today by the locals. Down we will find a bay with has several small islets in front of it, in which the waves hit with a crash. This scenery together with the brave waters of a river that flows in this place, provide a scene of great beauty. From here we will always climb up until the road where once again the stunning views will be a fair reward for the effort that our hikers have just done. After a few small trails we will follow a levada (men made water channel used to pipe highland waters), still in full operation and vital for the sustainability of this whole region of small farmers. Along with this water channel, we are going from an agricultural region to a dense forest area. The oceanic pools of Santa Cruz village will be our next goal, where we will enjoy for the first time this natural pools. The various concrete platforms integrated into the basaltic rock, create several bathing areas where our hikers will spend the rest of the afternoon. 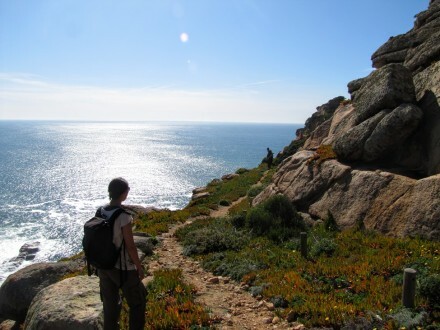 After having returned to our village and a reinvigorating shower, our hikers can expect a magnificent dinner in a local restaurant known not only for the delicious delicacies and sweets typical of this region but also for the beautiful moments provided by the sun to dive behind the Atlantic. This is the farewell day. 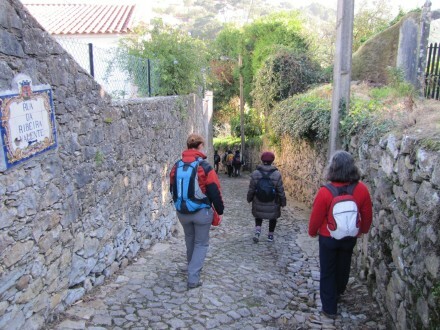 After the last breakfast in the genuine Aldeia da Cuada, our hikers will be transported to the airport. Behind, stays landscapes of great natural beauty, some unique and tough but genuine and gentle people who lead a hard life in these inhospitable islands since ancient times, dating back to the 16th century, as well as its culture and customs. *This is a reference price, which, depending on the time of purchase of tickets, is subject to change and it doesn’t include the flights from abroad to São Miguel or Terceira islands, from where we will fly to Flores island. For less than 3 people and more than 12 people, the price is on request. This program requires a minimum of 3 participants. If this number it won´t be reached, Walk Hike Portugal reserves the right not to go ahead with the program. If so Walk Hike Portugal will return, in full, the total amount already paid by the customers. Note: The clients have to arrive in the Flores island at the 14th of May for the first season and at the 02nd of October for the second season. Because Walk Hike Portugal is a Corporate Client of the Azores Airlines, with direct flights to the Azores from several cities, such as Boston, Toronto, Montreal, London, Manchester, Amsterdam, Stockholm, Copenhagen, Oslo, Frankfurt, and Munich, through our partner travel agency, we have preferential conditions compared to the individual customer, so if you want to try us we will be pleased to present you a proposal.